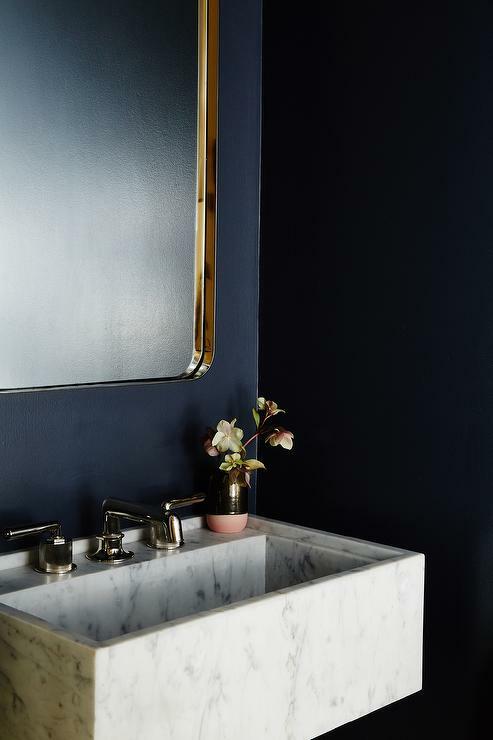 I love dark navy walls. 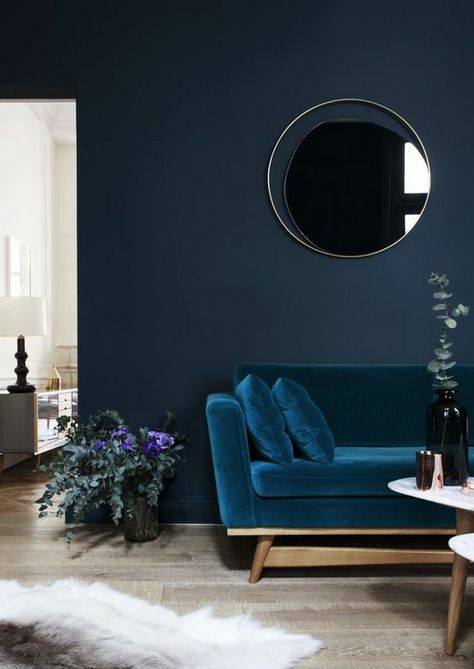 There is something incredibly powerful and chic about this color. 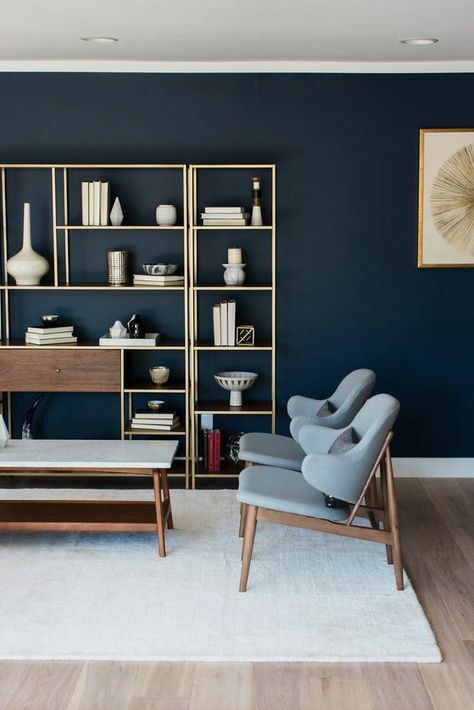 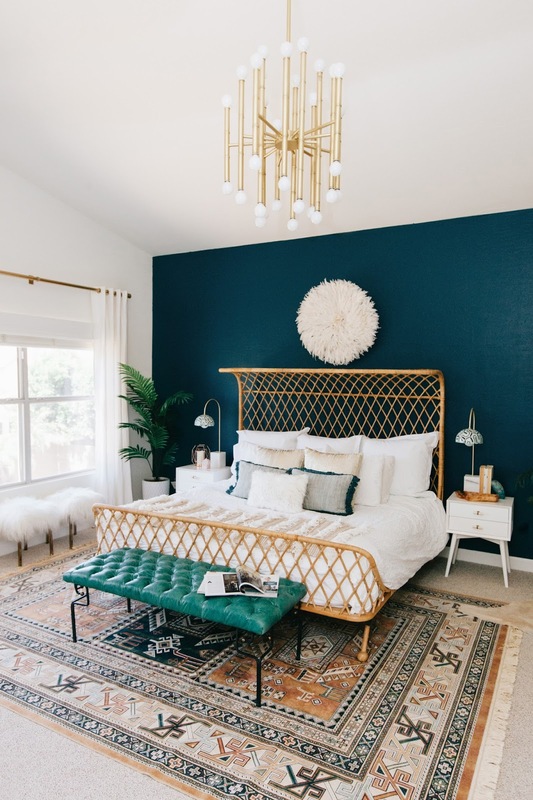 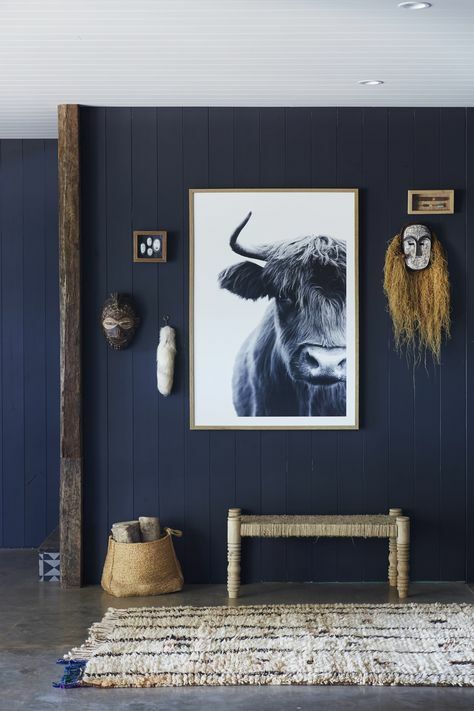 All the accessories, furniture, and art, do really stand out in a room painted dark blue. 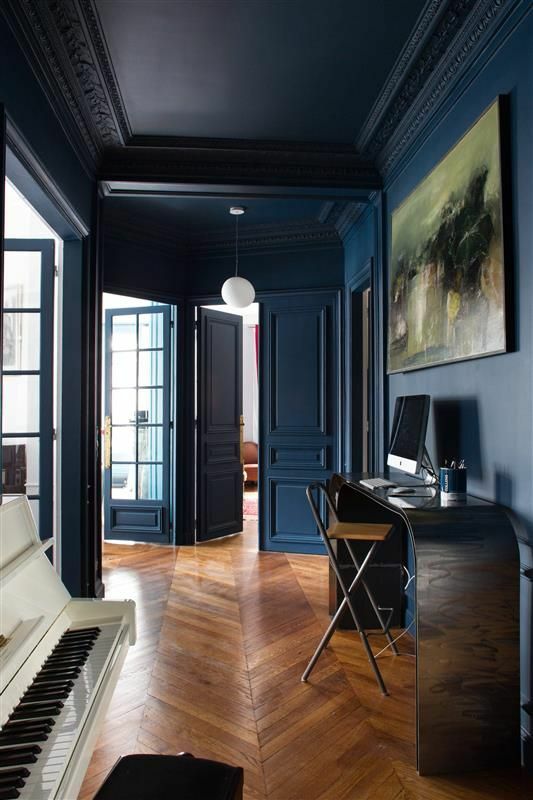 I can admit that a dark paint job can make a room feel a bit claustrophobic. 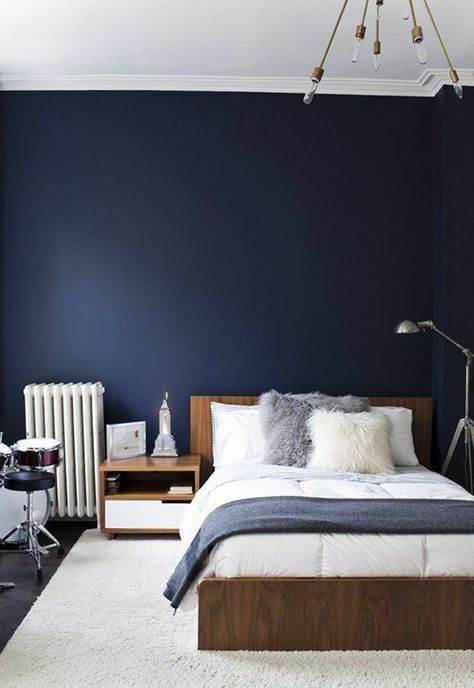 Usually, though, that’s more of a problem with the room’s floor plan and natural lighting rather than a color choice. 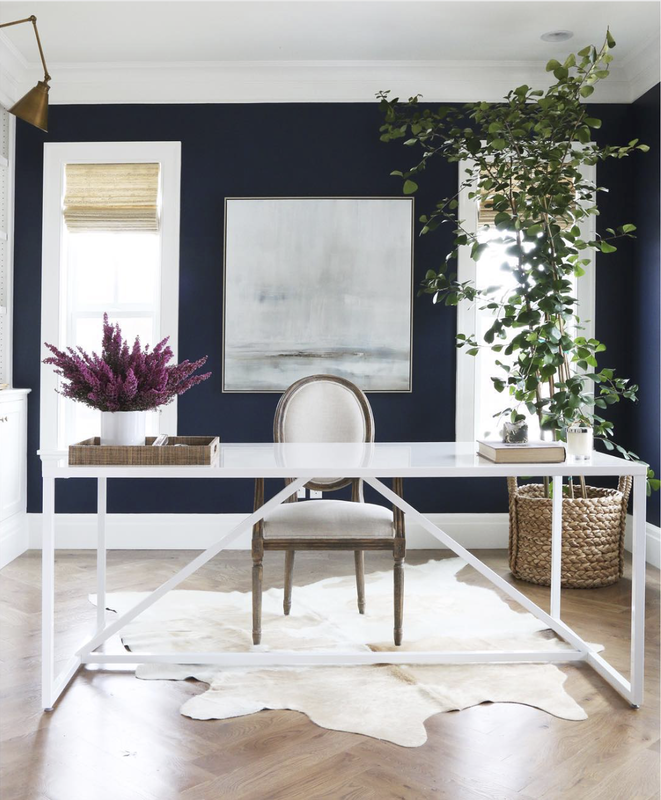 When done right, a dark paint color doesn’t have to make a room look like a "stylish cell". 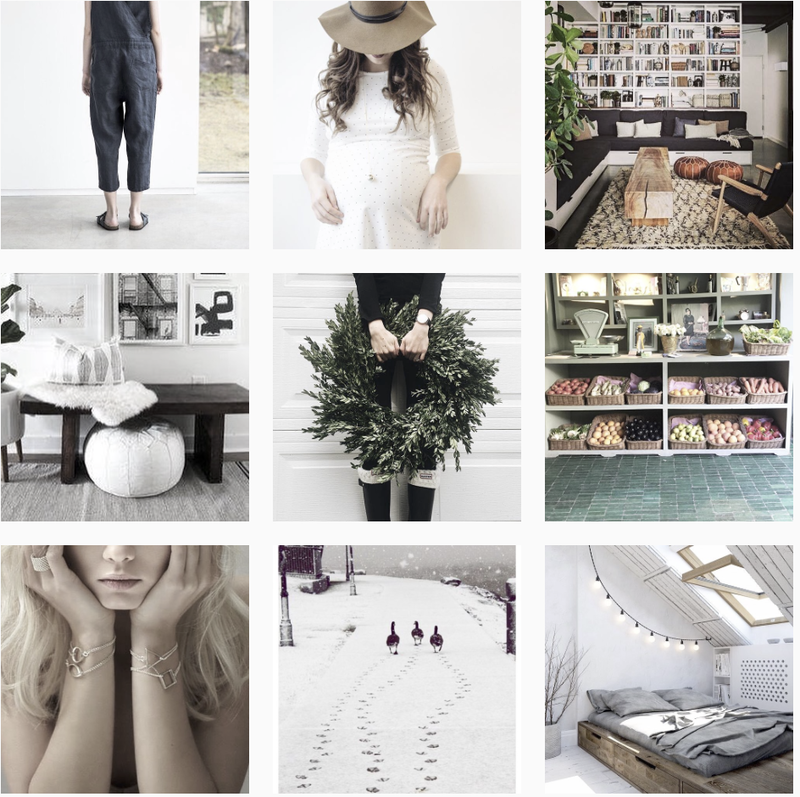 Instead, it enhances any bright accessories and furnishings brought into the space. 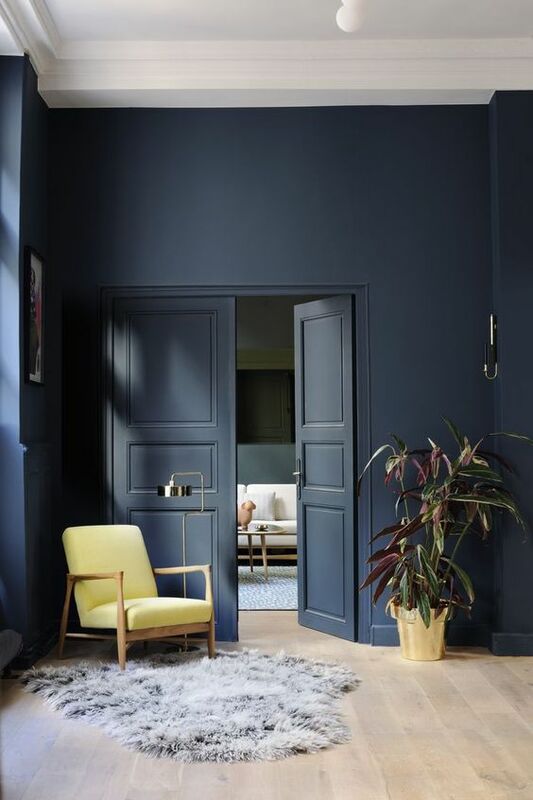 The key is to mix different textures like sumptuous linen and natural leather with dramatic blue walls for a sophisticated and intimate space.